Traffic can be horrible – especially in Metro Manila – but it is infinitely made worse by drivers with no regard for traffic rules and regulations or simple traffic etiquette. A video recently went viral which captured a black Toyota FJ Cruiser getting worked up and belligerently going after a car which moved beside it while stuck in traffic. The car which captured the incident moved to a narrow space on the road to get a bit ahead of the other cars. But the FJ Cruiser did not take kindly into what happened and proceeded to follow the video taker’s car and tried to overtake it several times. What alerted the citizens more though is the fact that the car had an “8” plate number which means that the car is registered under a Philippine congressman or representative. “This video has no cut. Mejo di ko nalang tinapos hanggang kung saan sya nakasunod sakin kasi mejo mahaba na. Pero hanggang SM north, nakarating sya kakabuntot sakin pero hindi na ako tinutukan or ginitgit mula ng babaan ko sya ng Bintana. Nangyari to kahapon. Saturday, November 10, 2018. Around 12 nn., bandang Congressional sa Cherry grocery na malapit. Ginawa ko? Tinabihan ko ang FJ Cruiser since may malaking space sa left side nya. At ang nangyari? Panoorin niyo nalang po kung pano sya magwala, ngumawa sa kakatutok at kahahabol sakin. muntik pa nya masanggi yung tric at motor at muntik sya makipag beso beso sa truck na pula.” Facebook user Rakizim Kimpololoy posted along with the video showing the whole incident. Kimpololoy also left a brief message for the driver of the concerned car. “Sana makarating to sayo, Driver ng FJ Cruiser. Masyado kang iyakin. Di mo naman ako ininform na bawal tumabi sayo? 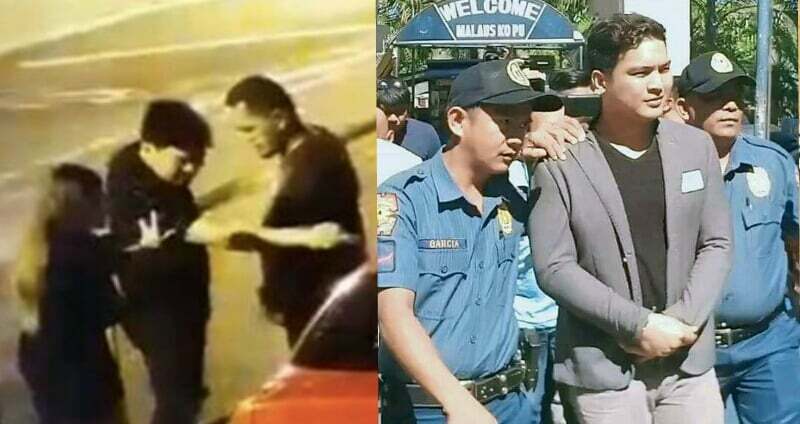 Nabili mo na ba ang daan? Inaadmire ko pa naman nung una kotse mo. Sabi ko pa dream car. Iyakin naman pala driver. A few hours later, Kimpololoy added a link and claimed that apparently, there was a second installment to what they encountered earlier in the day. In the link attached in the original post, a video of what looks to be another black Toyota FJ Cruiser with the number “8” for its plate number can be seen parked haphazardly on the road, just in front of a red sedan. The driver of the FJ Cruiser can be seen coming to blows with the driver of the red sedan – although the sedan driver remained inside his car. After a few minutes of being held back by the other passengers of the FJ Cruiser, the worked up driver went back to his seat and drove away. 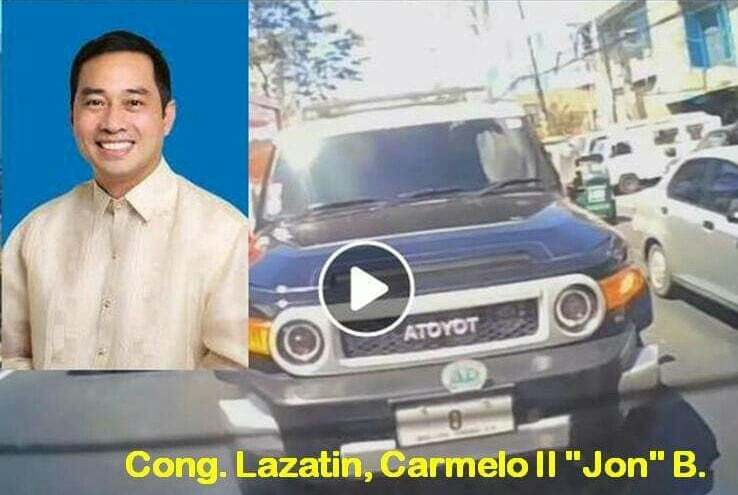 Unfortunately, this is not the first instance when a car with a politician’s or a government official’s plate number was seen going against traffic rules and regulations. There have been instances when a politician’s convoy run through a red light and some were caught going a bit too fast compared to their area’s speed limit. There are no news at the moment about what happened to the black FJ Cruiser and its driver. Have you ever witnessed a similar situation? Share your thoughts and experiences in the comments section!